Getting the best people from all over the world is one of the biggest challenges to realise the International Linear Collider, the next-generation electron-positron collider. That’s why there’s a new working group on human resources, called into being by Japan’s ILC Advisory Panel, to tackle the issue before the ILC has even been approved. On 18 November, the first meeting of the new working group under the ILC Advisory Panel, a committee charged by Japan’s Ministry of Education, Culture, Sports, Science and Technology (MEXT) was held in Tokyo. 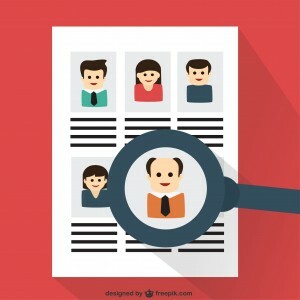 This new working group investigates issues on necessary human resources and their training and has been set up following the recommendation in the panel’s summary report published in June. Headed by Takashi Nakano, Director of the Research Center for Nuclear Physics, Osaka University, the working group consists of 11 members of researchers and experts from major universities and industry. One of the focuses of discussion is to secure the human resources necessary to construct and operate if the project receives the green light. In previous discussions among the Advisory Panel, acquiring human resources for ILC realisation was recognised as an important issue, since for the ILC, a massive number of components will need to be produced, and reliable supervision at the construction site is required. Also, human resources with special administrative skills are necessary to handle complicated issues regarding a large-scale international collaboration. In the meeting, Akira Yamamoto, Asian Regional Director of Linear Collider Collaboration from the KEK laboratory gave a report on the global studies and investigations made for the ILC’s. In the meeting, Akira Yamamoto, Asian Regional Director of Linear Collider Collaboration (LCC) and Head of the Linear Collider Project Office at KEK laboratory, gave a report. Because he is wearing two hats, he reported from two different standpoints; one from the standpoint of the LCC about the global studies made for the ILC’s Technical Design Report issued in 2013 and another as a member of KEK’s project team about the investigation made for KEK’s plan to prepare for the ILC. He is also a member of this new working group. 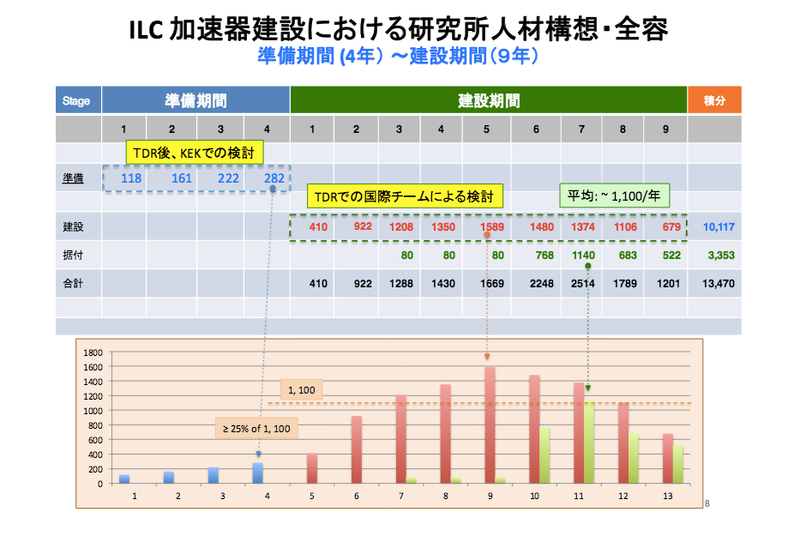 Yamamoto summarised the estimates of required human resources in the each phase of preparation, construction, and operation, and he reported that about 1100 persons/year on average for the ILC laboratory staff will be needed to cover all these categories. The panel argues that it is critical to verify the prospect of securing the capable specialists and experts globally – how many and when they would participate in the project? 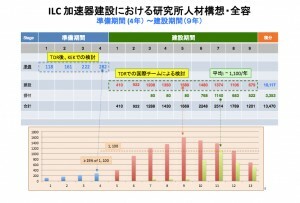 “I reported an overview of the ILC human resource plan in the ILC Technical Design Report and a necessary human resource and training plan, in the ILC preparation phase, studied by KEK since early this year. I have been very pleased with forward-looking discussions during the working group meeting,” said Yamamoto. The slides of the first meeting are available at MEXT’s web page. The working group will have a series of the meetings, to verify the issues to secure existing human resources and foster future man powers. They are planning to conduct research on other large-scale scientific programs, domestic and global, such as the Large Hadron Collider at CERN and Spring-8, the light source facility in Japan. The working group plans to issue the report in spring.